The ordeal is coming to an end. I'm digging out the section underneath the dining room, which gives me more head room because the brownstone ledge drops rapidly toward the front of the house. 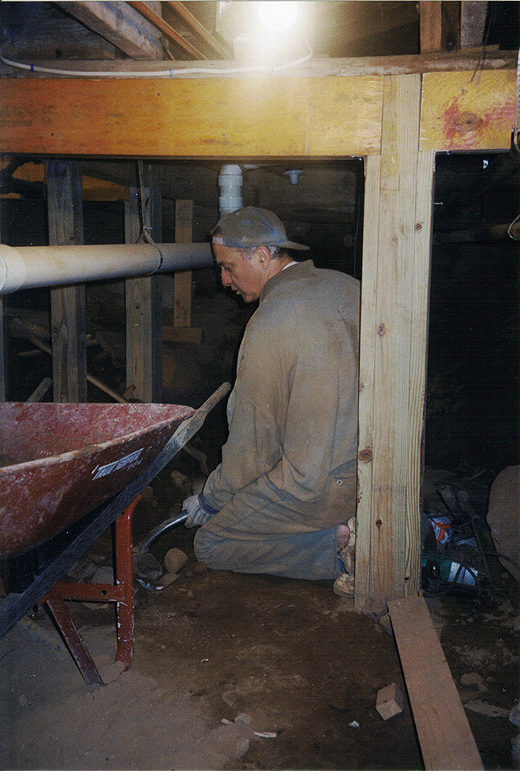 But I didn't dig deeper than 4 feet anyway because moving earth wheel barrow-by-wheel barrow through the boiler room and garage, which involved serveral turns, was not my idea of fun: the less to move the better. I did not do the plumbing and electrical work. And on about 5 days, José (Joe) da Silva helped me with the diggingthe rest I did entirely on my own, including all carpentry.